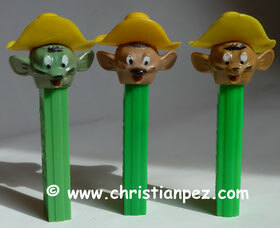 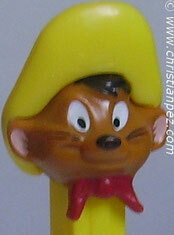 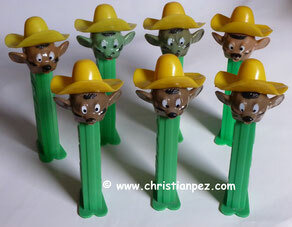 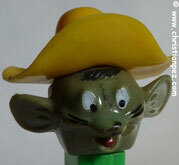 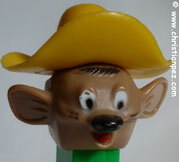 Speedy Gonzales(commonly shortened to just Speedy) is an animated caricature of a mouse in the Warner Brothers Looney Tunes and Merrie Melodies series of cartoons. 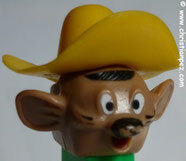 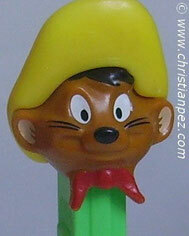 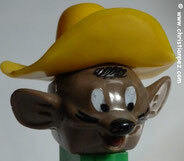 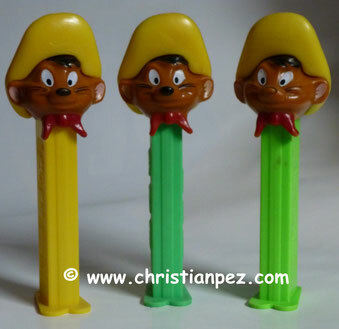 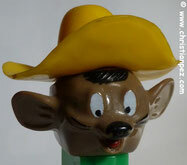 He is portrayed as "The Fastest Mouse in all Mexico" with his major traits being the ability to run extremely fast and speaking with an exaggerated Mexican accent. 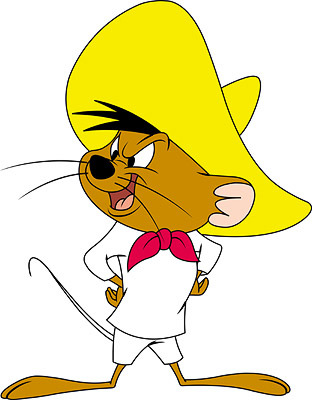 He usually wears an oversized yellow sombrero, white shirt and trousers (Which is a common traditional outfit worn by men and boys of rural Mexican villages), and a red kerchief, similar to that of a reveler in the San Fermin festival. 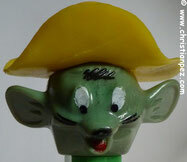 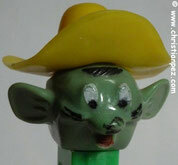 To date there have been 46 cartoons made either starring or featuring this character. 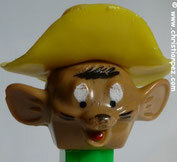 Fin des années 1970s à aujourd'hui, avec et sans pied.